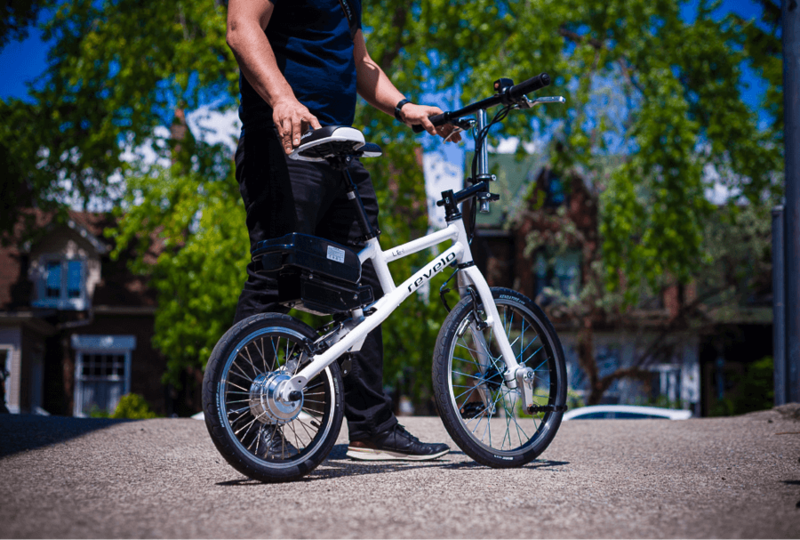 One e-bike manufacturer to pay particular attention to is Revelo, a MaRS Cleantech Venture Services client and the creator of the new Lite Electric One (LE-1). 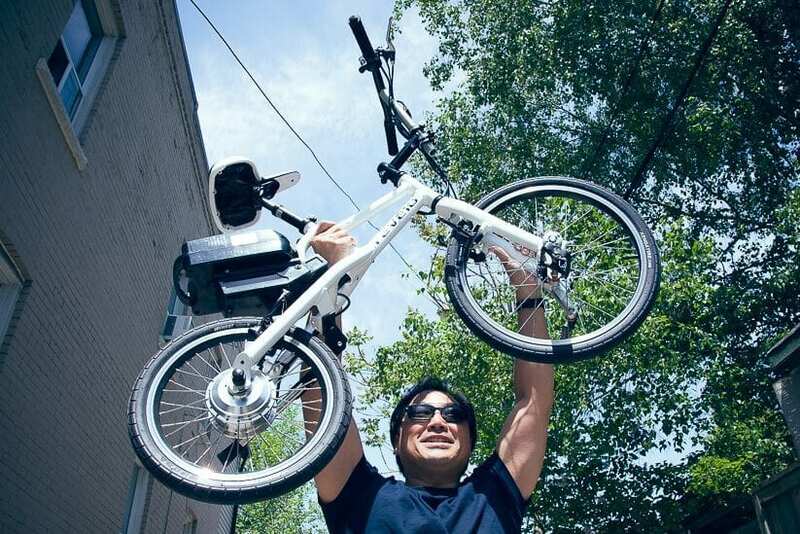 Henry Chong, founder and CEO of Revelo, set out to redefine how people think about sustainable and greener modes of transportation with his concept of a creatively designed, compact and foldable e-bike. The result is definitely a gear above the competition. 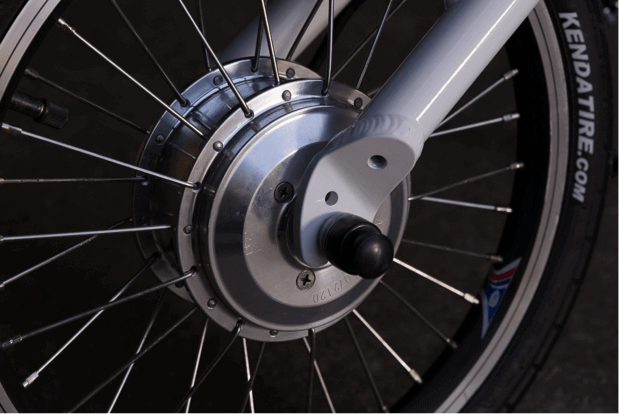 The elimination of a chain and the incorporation of a patent-pending pedal design attached to the front hub are what make Henry’s e-bike design unique. The design shortens the wheelbase of the LE-1’s aluminum alloy hand-built frame. 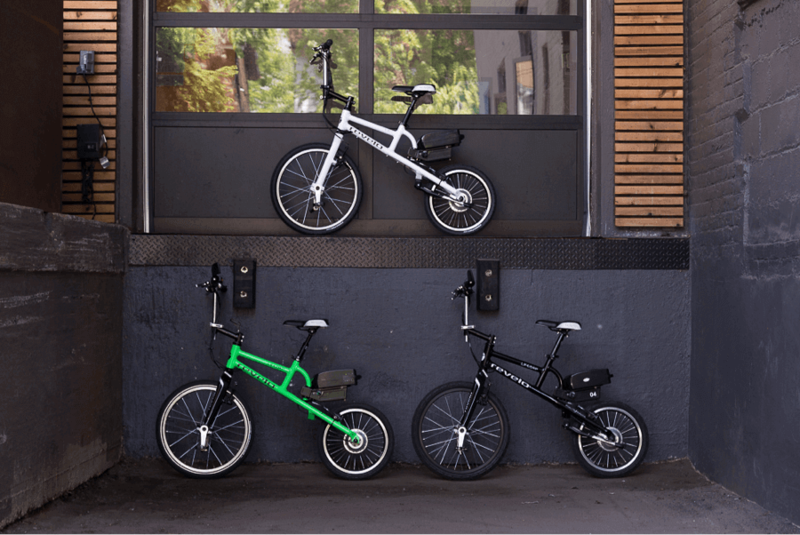 The whole package weighs in at just 13.8 kilograms, or about 30 pounds, making the LE-1 the lightest electric bike in its class. A 36-volt lithium ion battery and a 250-watt brushless geared motor cranks the LE-1 to speeds of around 25 kilometres per hour. The LE-1 also comes equipped with an anti-lock braking system. I had the chance to ride the LE-1 at Doors Open Toronto at MaRS, where this unique e-bike caused quite a buzz. When I first sat on the LE-1 I felt right at home, as the bike shares many of the components of a traditional bicycle. Once I pressed my thumb on the throttle and kicked my feet up, however, it was a whole new trip. The only part that had me more excited than the ride was when I heard that the LE-1 can travel as far as 30 kilometres on just 5 cents of electricity; if only carbohydrates were that efficient. Henry and his team at Revelo have come a long way since they first engaged with MaRS back in 2012, when he was an industrial design student at OCAD University. Like many of the ventures we work with, Revelo first connected with MaRS through Entrepreneurship 101. Since then, Revelo has won the MaRS Up-Start! competition, organized a successful Indigogo campaign and begun the manufacturing process to get the bike into the market. 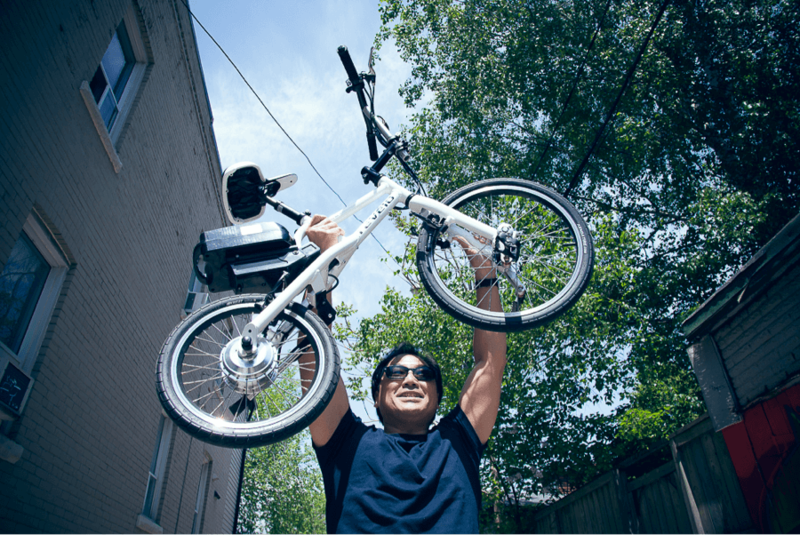 Now that the LE-1 is here, the Revelo team is setting up demonstrations and test rides around Toronto. You can catch them at the Eco-Wheels Show on Saturday, June 21, at Mel Lastman Square, and at the Live Green Toronto Festival on Saturday, July 19, at Yonge-Dundas Square. So, I say ditch your four-wheeled fossil fuel burner and hop on one of Revelo’s e-bikes to enjoy the summer sun! Revelo is a revolution in urban transportation.